Vauxhall Astra Performance, Engine, Ride, Handling | What Car? We’d avoid the base 99bhp 1.4-litre petrol because it needs revving hard to make reasonable progress, making plenty of noise in the process. Instead, we’d suggest the range of turbocharged engines, starting with the three-cylinder 1.0-litre with 104bhp. This has adequate performance, although it does need to be worked fairly hard over hilly terrain and when overtaking on faster roads. Much more flexible are the pair of 1.4-litre turbocharged petrols with either 123bhp or 148bhp. With the higher-powered version, the Astra’s 0-62mph pace isn’t too far off that of some ‘warm’ hatches. Despite this, it’s capable of the same fuel economy as the 123bhp variant. If you’re after even more power, there’s a turbocharged 1.6-litre petrol engine that delivers fairly vivid performance. If you're after the lowest running costs possible the trio of diesel engines Vauxhall will appeal. The entry-level version has 108bhp, which is enough to give it respectable pace, although we prefer the more powerful 134bhp diesel. It’s still capable of returning impressive fuel economy, but is more flexible, making for more relaxed progress. The most potent diesel has twin turbos and produces 158bhp, but emissions and economy suffer. While you’d never call the Astra uncomfortable, it doesn’t cosset you from road imperfections as much as some rivals, led by the Volkswagen Golf, especially at low speeds. The suspension is firm, so you feel the undulations of the road, while broken surfaces can lead to the odd thump into the interior. At no point does it feel jarring, however. As with any car, the ride isn’t helped by increasing the size of the wheels – something to remember when selecting your chosen model and options. Even so, in our view anything up to 17in wheels still provide a perfectly acceptable level of comfort. 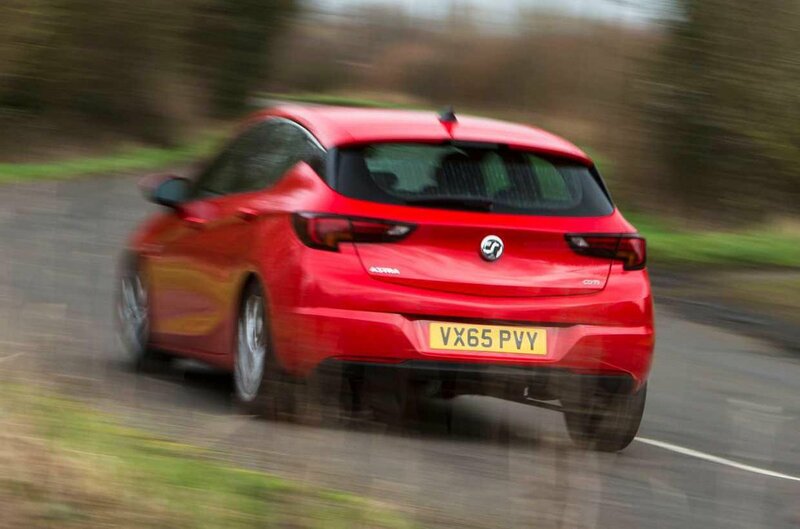 Vauxhall has made a lot of noise about how much weight it has taken out of the Astra, and it has made enough of a difference to how the car handles to be really noticeable. This Astra is alert and engaging around corners, feels keen to change direction and, while there’s some body roll, it’s not excessive. 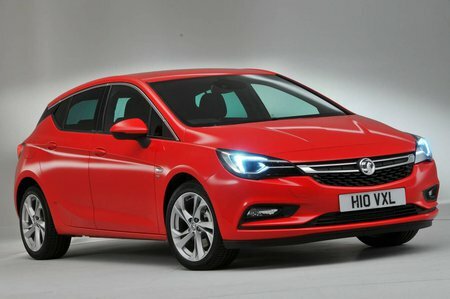 Unfortunately, the Astra’s steering lets it down, giving little feedback to the driver and suffering from weighting that is too light on lower trim levels – although SRi models do receive a Sport button that adds welcome weight to it. It’s good, but not quite good enough to beat the benchmark Ford Focus. Although you might expect Vauxhall to have jettisoned much of the car's sound deadening material in the quest for weight loss, the Astra is better than average in terms of refinement. Road noise is well suppressed , although there is some wind noise from around the door mirrors at motorway speeds. The four-cylinder petrol engines are smooth, only becoming vocal when pushed towards the top of the rev range, but even then they never sound harsh. The three-cylinder models aren’t bad either, but they do transmit some vibration through the steering wheel and pedals and can get noisy when pushed. There’s also a bit of vibration from the diesels, while some of the expected diesel clatter also makes itself heard – more so in the 158bhp version than the lower-powered models. Manual gearboxes are smooth to operate, but the gearlever’s action is a touch vague.